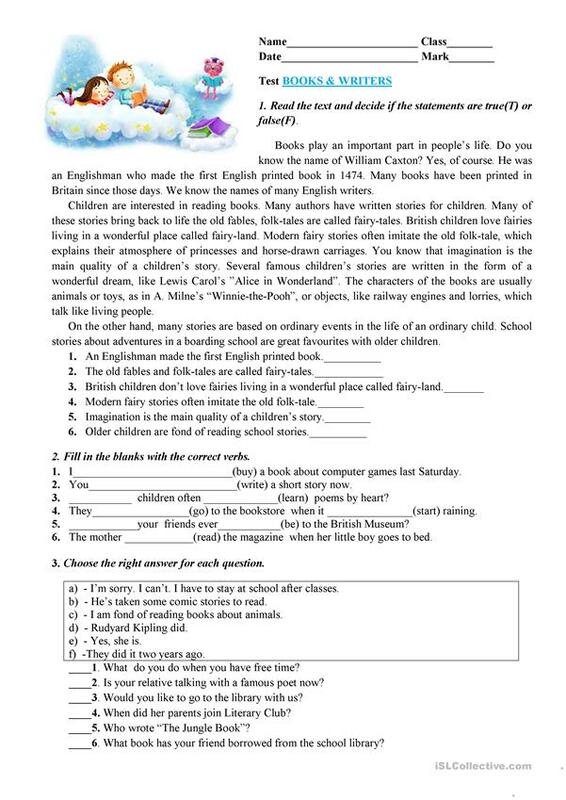 This worksheet includes 3 tasks(reading comprehension,grammar and speaking).Using the test you can check up your students'knowledge on the theme"Reading Books". The above downloadable worksheet is recommended for high school students at Elementary (A1) level. It is a useful material for revising Verb tenses in English, and is excellent for enhancing your learners' Speaking, Reading and Writing skills. It is focused on the theme of Books and reading.